When you have a flood in your home, you might think that your waterlogged carpet and warped furniture is the worst of the damage. However, the worst damage of all may be lurking where you can’t even see it. Mold can grow in as little as 24 hours after a flood, and it often begins behind the walls and under the floor, where you can’t see it. In fact, many people don’t know that they have mold until they start experiencing symptoms or see it growing on walls and ceilings. Find out more about water damage and mold in this infographic from Island Catastrophe Environmental Restoration . When you experience water damage near the Hamptons, call us for professional cleanup to avoid long-term damage caused by mold. We can also help with preventative measures, like crawlspace waterproofing, and repairs after mold has appeared, including mold remediation. Wet crawlspaces are a common issue for homeowners. Luckily, this issue can be easily remedied by hiring professional services for crawlspace waterproofing near the Hamptons. A waterproofed crawlspace is insulated and fitted with both a dehumidifier and sump pump, and this service can improve your indoor air quality, lower your energy bills, and protect your home against damage. Crawlspace waterproofing prevents water from getting inside the space where it can lead to a host of problems, one of which is mold. Homes with a moldy crawlspace can suffer from reduced indoor air quality caused by spores that move into the living space. When your home’s air is affected by mold growth, it can cause you and your family to suffer from symptoms that include a runny nose, itchy eyes, wheezing, coughing, and watery eyes. Controlling the moisture and mold growth in your home is essential to maintaining healthy indoor air. A crawlspace that hasn’t been waterproofed or encapsulated is often a major cause of a home’s heat loss in the winter and heat gain in the summer. Crawlspaces are directly connected to your house, and when they aren’t insulated, they allow moisture inside as well as outdoor air. By waterproofing your crawlspace, you can preserve your indoor air conditioning and significantly reduce you monthly energy costs. Additionally, when your crawlspace air is conditioned along with the rest of your home, it puts less strain on its air ducts and potentially lengthens their lifespan. When water gets into your crawlspace, it can do damage other than promoting mold growth. Moisture can cause your flooring to rot from the bottom up, potentially causing significant destruction and leading to costly repairs. Additionally, moisture attracts bugs as a water source, drawing them into your home where they can cause an infestation and potentially leave significant structural damage in their wake. Crawlspace waterproofing seals the area against water, drafts, and can keep bugs out as well. If your home has suffered water damage from flooding or a leaky pipe, you may need mold removal near the Hamptons . A musty or mildew smell in an area of your home can be a sign that you need mold remediation. 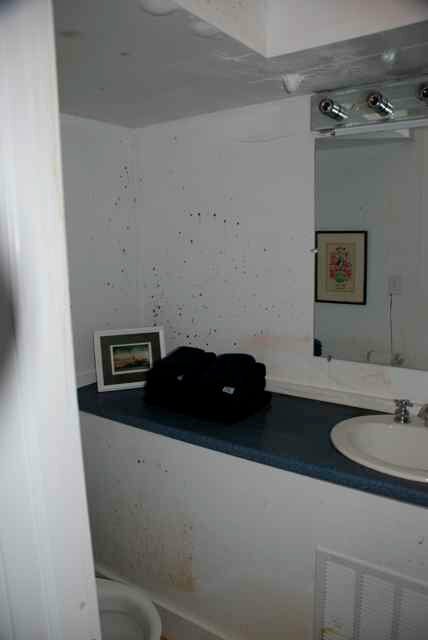 Watch this video to learn more about how to identify a mold problem. Check places that are dark, damp, and that may have water damage and look for mold patches which can be white, orange, brown, black, and green in color. It’s normal for every home to have some amount of mold, but if you find large areas that are affected, or you notice a decline in your indoor air quality, your home may need professional mold removal services. Homeowners who notice a decline in their home’s air can benefit from air quality testing near Long Island . Your family spends a significant amount of time inside your house, and if its indoor air quality is poor, this can affect your family’s health and comfort. Air quality testing starts with realizing that there’s a problem and then finding its source. The process of air quality testing begins when you determine that your home’s air is less than optimal. 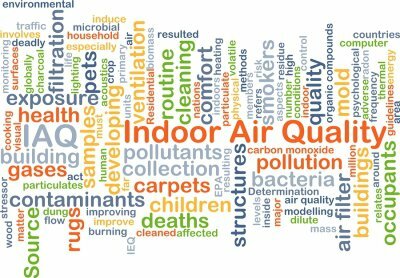 Because few circumstances would lead a homeowner to have their indoor air quality tested preemptively, it’s vital to remain vigilant for signs of poor air quality. Common symptoms of reduced indoor air include fatigue, headache, shortness of breath, dizziness, coughing, wheezing, sinus congestion, and irritated skin, eyes, nose and throat. Symptoms are usually most noticeable after spending several hours inside, and can often be relieved by moving outdoors. Once you suspect that your indoor air quality is less than optimal, you should try to find what the source could be. Common causes include inadequately maintained ventilation systems, construction contaminants, off-gas emissions from carpets and paints, bacteria, mold, dust and dust mites, and chemicals. Mold, for instance, is commonly found in damp areas of the home and is characterized by a musty odor and patches that can be green, black, white, orange, or brown in color. Whatever the cause, you may be able to take care of it yourself but, in many cases, professional services will be required to find the source and to remedy it. It’s common for mold removal and basement waterproofing companies to offer air quality testing in addition to their other services. At-home testing kits are available, but professional testing can provide more insight into the source of your poor air quality. Inspectors can test for mold, bacteria, asbestos, cigarette smoke, lead, silica, and many other contaminants. 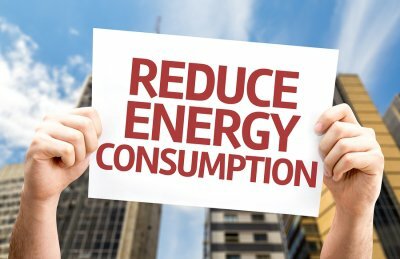 Once you know what’s affecting your indoor air, you can take the necessary steps to make your home healthier and more comfortable.